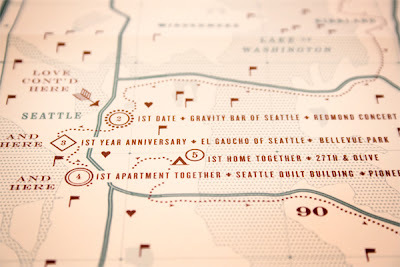 I love this clever wedding invitation designed by Urban Influence. They were looking to capture the playfulness of the couples personalities and the essence of the woodland wedding. 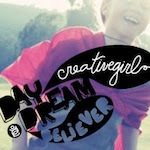 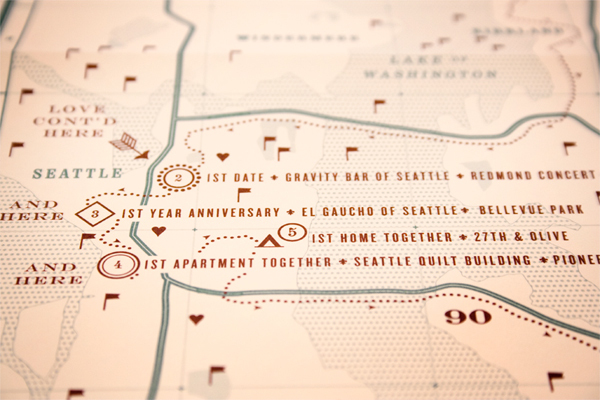 The full invite is built around the central theme of vintage Boyscout materials. 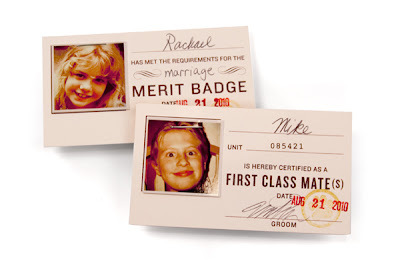 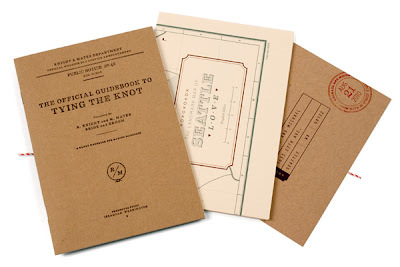 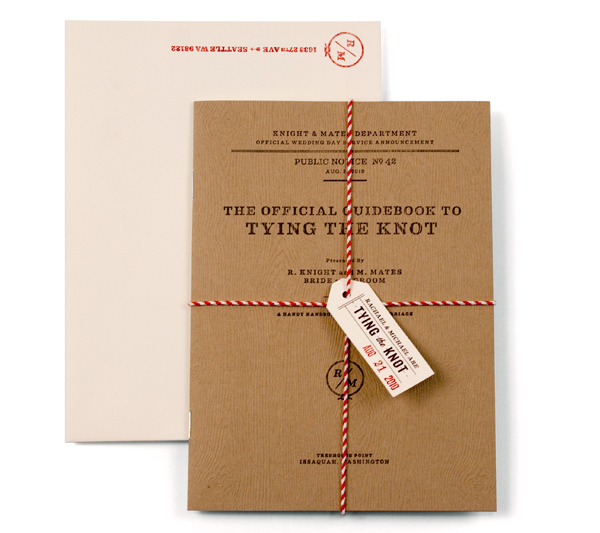 Included in the package, is a "Handy Handbook for Tying the Knot," identification cards with childhood pictures, a telegram-inspired RSVP, detailed map, and the "Marriage-Watching Merit Badge.